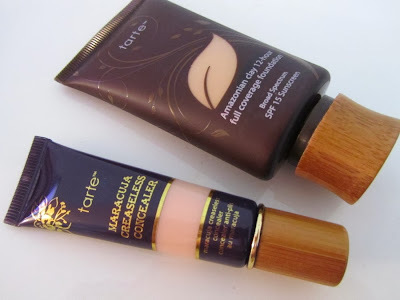 Recently, I purchased the Tarte Amazonian Clay Full Coverage Airbrush Foundation (US$36) and Maracuja Creaseless Concealer (US$24) through MyUS.com's personal shopper service while Tarte was having a 15% discount promotion. The Airbrush Foundation is not that new, as it was first launched on QVC several months ago but Tarte recently expanded the shade range to a total of 11 shades. 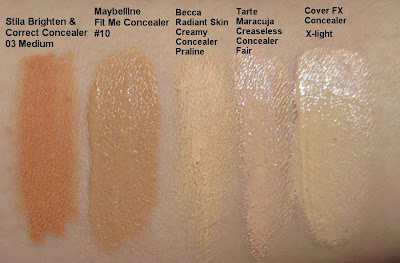 I picked Fair-Light Neutral, which is for fair to light skin with pink and yellow undertones. It turned out to be a good match for my MAC NC20 skin. The interior features a mesh that helps to control the amount of powder dispensed. 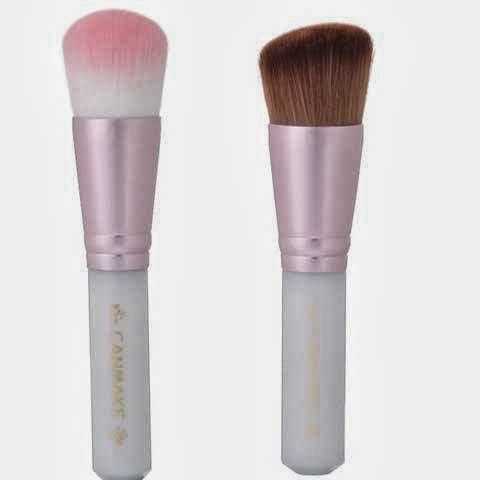 Although I did purchase Tarte's Airbuki Bamboo Powder Foundation brush, I've been using my Sephora mineral powder brush instead as it has a smaller head that is easier to control. The protruding stopper in the cap works well by fitting over the mesh to prevent the powder from spilling out even when the pot is turned upside down and shaken. 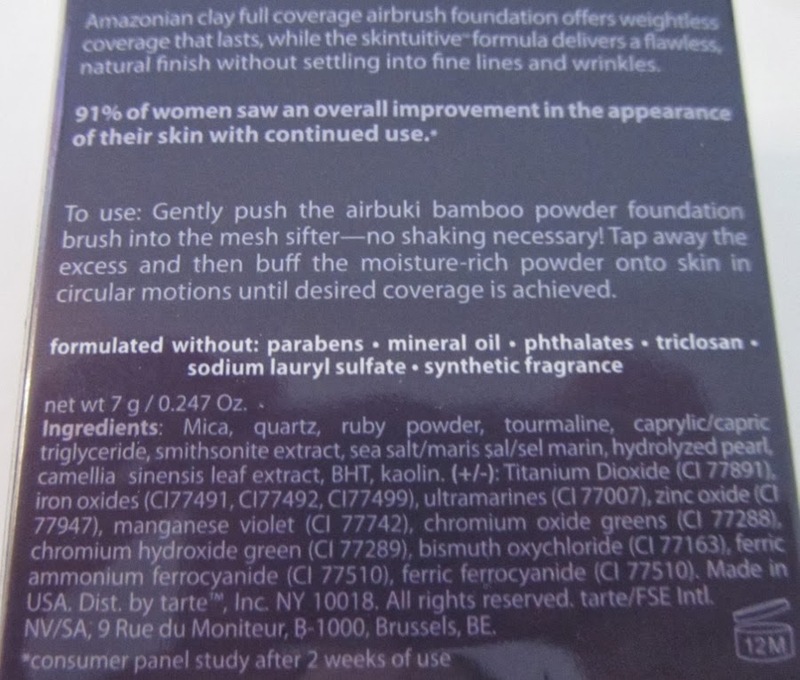 The powder is ultra fine and light, with a tendency to fly up when I run the brush around the pot. It's hard to believe that such a fine powder can provide full coverage but it actually does work rather well to provide coverage of pores and redness. 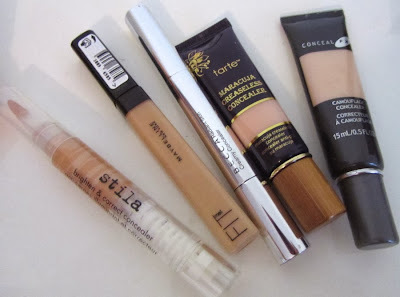 I think it is more medium coverage than full coverage though as a separate concealer is still needed if you have very dark under eye circles. 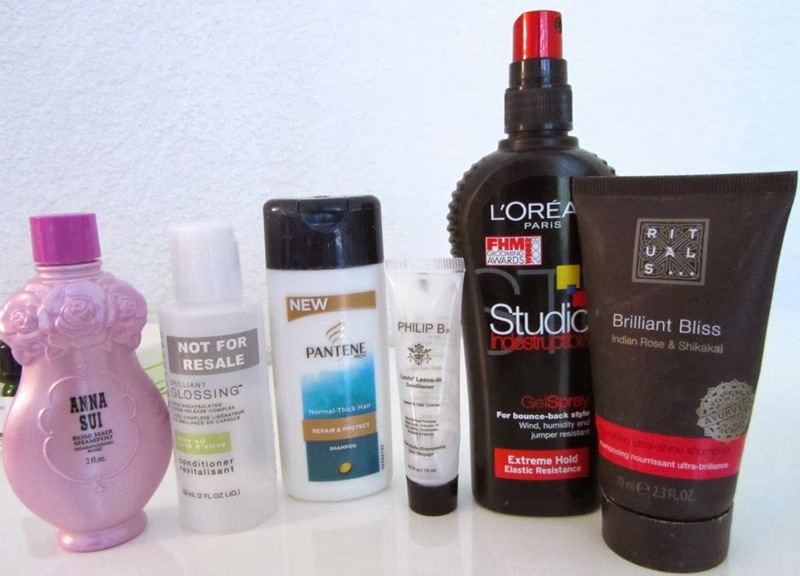 In terms of oil control, this was not the best on its own with my T-zone showing shine in under two hours. 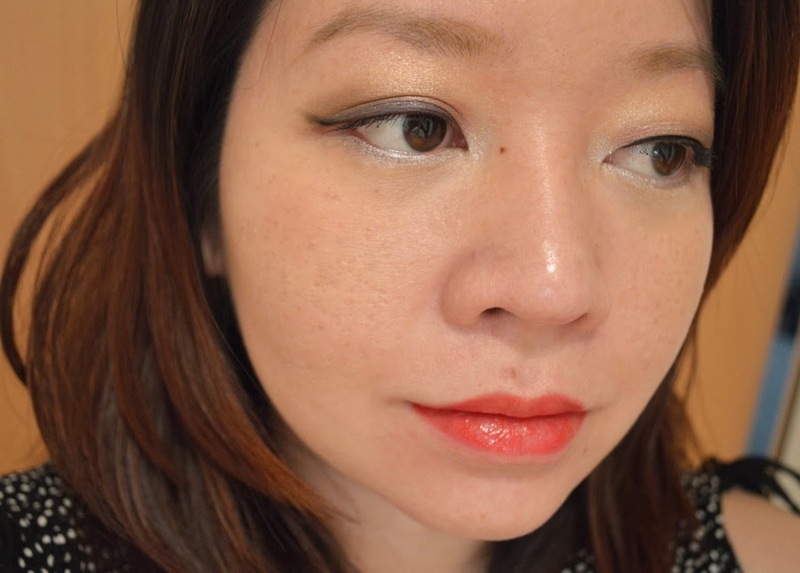 However, when paired with Hourglass Mineral Veil Primer, my skin stayed shine-free for much longer and I only had to blot every 3 hours or so. The pot contains only 7g of product, which I expect will last just 3 to 4 months if used daily. The inner cap can't be removed easily. 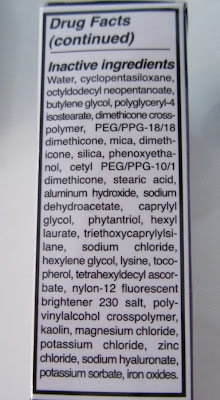 Ingredient list for the powder foundation, which is made in the USA, below. 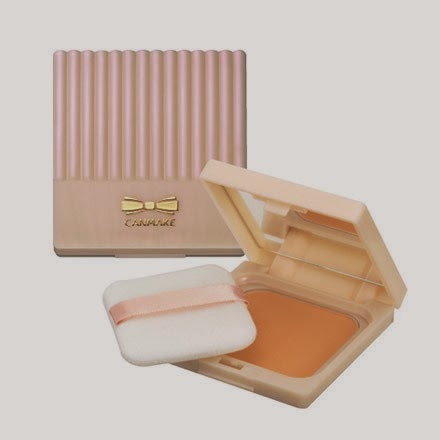 It contains Amazonian clay, tourmaline for a brighter, more radiant complexion, pearl powder which has anti-inflammatory, invigorating & anti-bacterial properties, camellia leaf extract to fights free radicals and mineral pigments to soothe and soften the skin. There is no SPF listed though. On the skin, there is a very subtle shimmer but this is not that noticeable unless one looks extremely closely in bright sunlight. 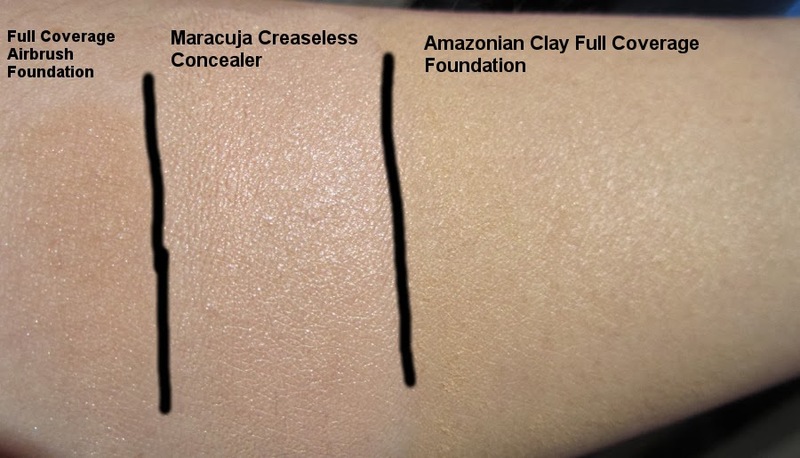 The Maracuja Creaseless Concealer has received generally good reviews. I picked the lightest shade Fair, which turned out to be quite a good match. This has a creamy consistency and you need very small pin-head sized amount as it is very pigmented, so a tiny bit goes a long way. This was good for covering up my under eye circles and I did not notice any creasing during the day. The tube has a fine tip, which makes it easy to control the amount dispensed. 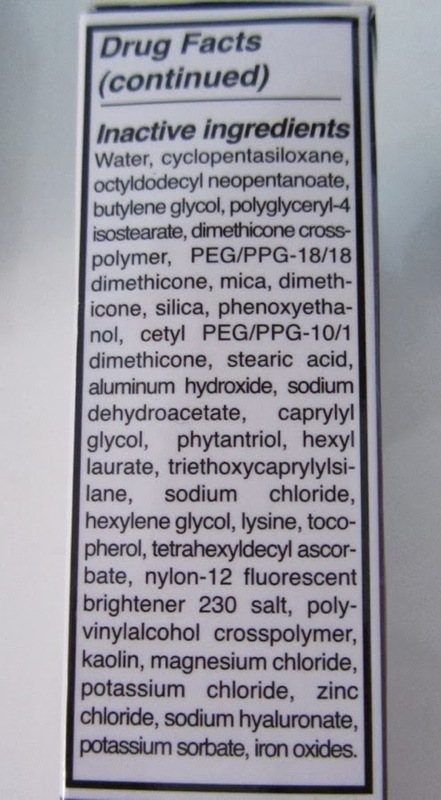 Ingredient list for the concealer below. I was surprised that this was made in China, given the price point. The Amazonian Clay 12-hour Full Coverage Foundation SPF15 was an earlier purchase. This provides greater coverage than the powder foundation. 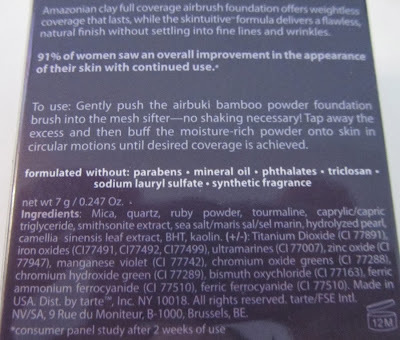 Unlike the powder, it offers broad spectrum sunscreen thanks to the inclusion of titanium dioxide (6%) and zinc oxide (3%). 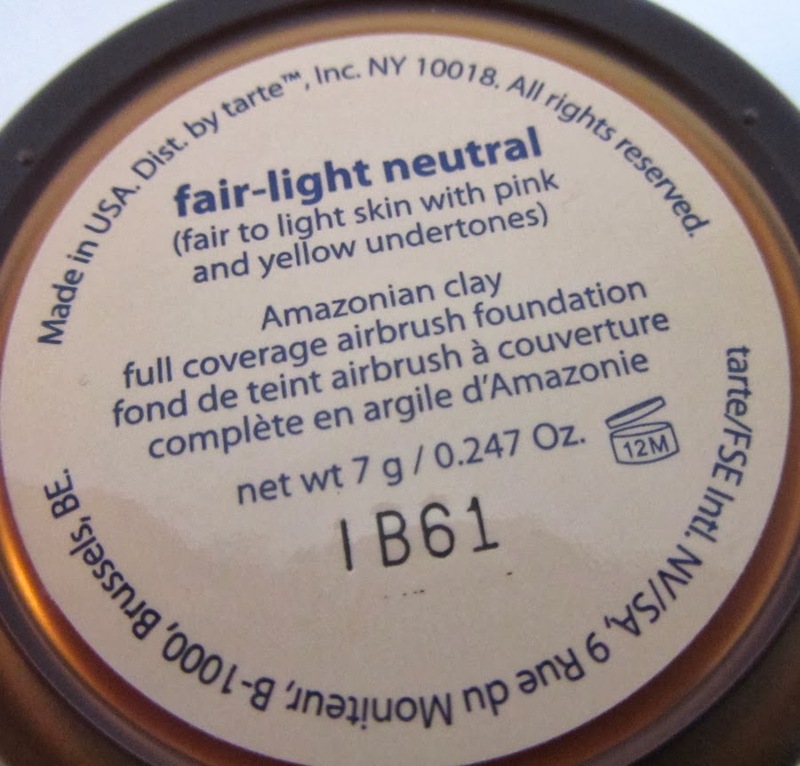 I purchased this in Fair, but Tarte has since expanded its shade range so there is Fair Sand, Fair Beige and Fair Light Honey. I'm not sure which of the new shades Fair corresponds to. 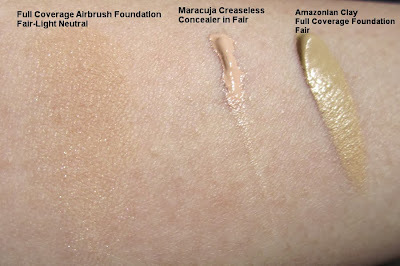 This foundation worked well for me and was easy to apply and blend. The oil control was also pretty good if used with a mattifying primer. 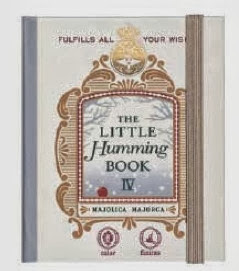 It is also reasonably priced at US$38. Ingredient list is below. This is also made in the USA. Below are swatches of the three products. 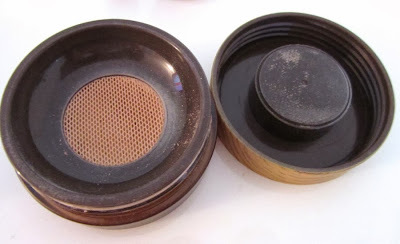 You can see the faint shimmer particles in the powder foundation. Comparison swatches of Maracuja Creaseless Concealer with the other concealers in my collection. 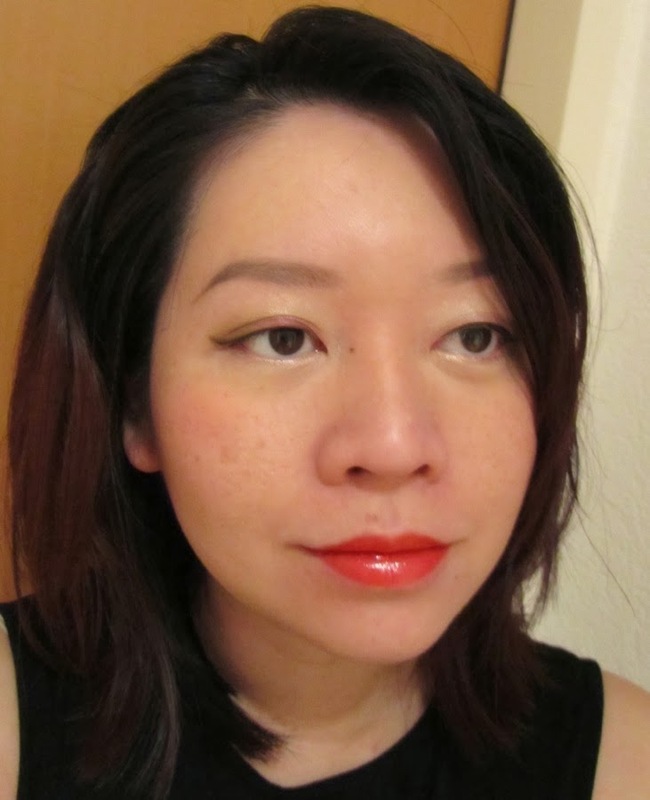 The Stila Brighten & Conceal Correct 03 Medium was a total bomb on me as it was far too peach-toned and glaringly obvious on my skintone. 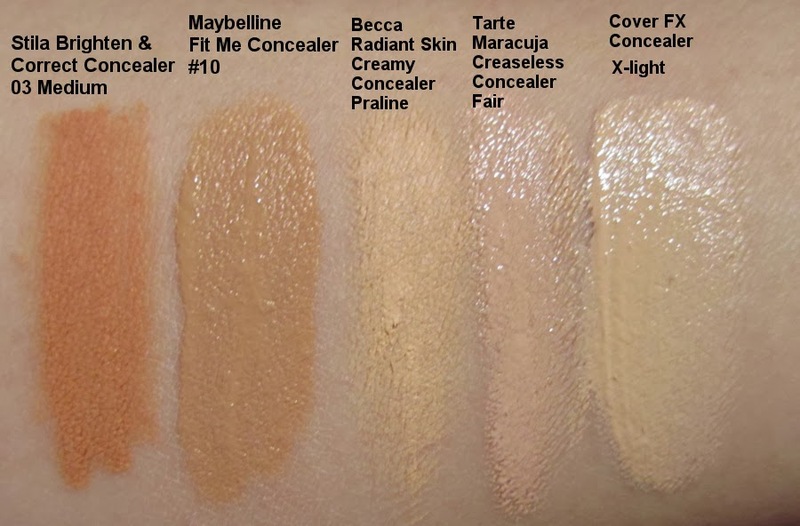 Maybelline Fit Me Concealer #10 has a thinner consistency and is less pigmented than the Tarte concealer. It looks quite a bit darker but when blended out, it still matches. 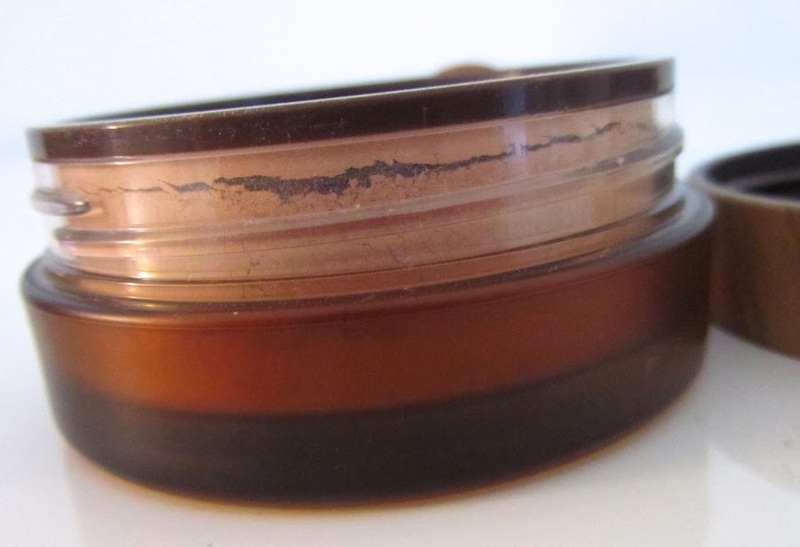 The Becca Radiant Skin Creamy Concealer in Praline was another total failure as the consistency was so thick, cakey and difficult to blend. I have to mix this with another product to get it to work. 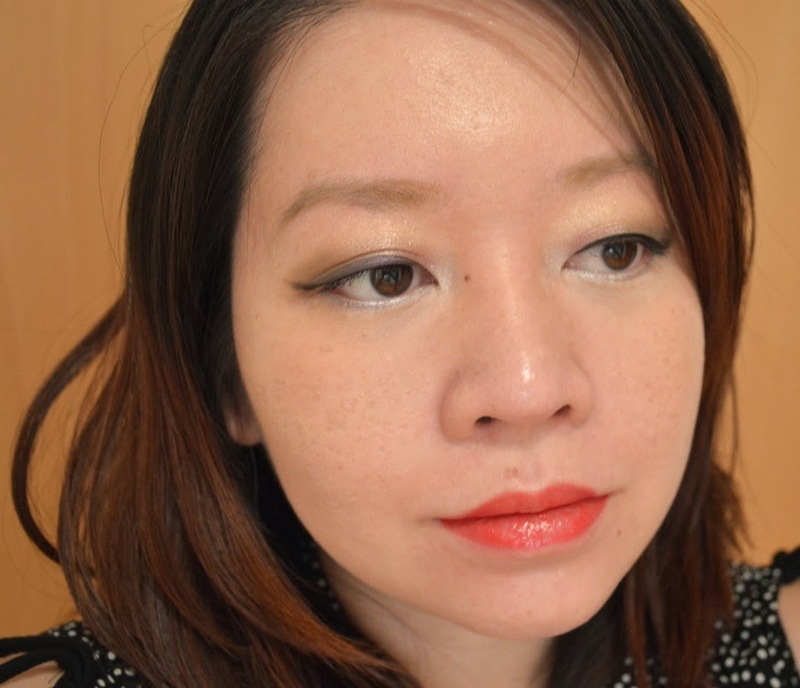 The Cover FX concealer in X-Light is not bad but it tends to separate in the tube, and so sometimes it comes out all watery and messy. 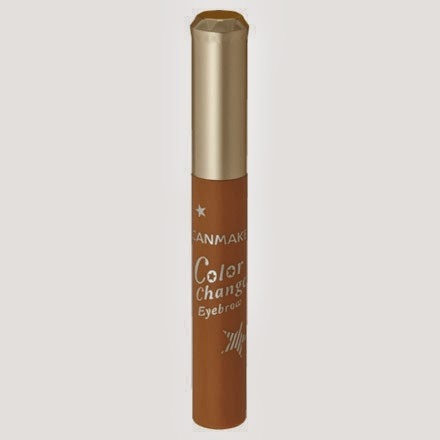 This is also less pigmented than the Tarte concealer. This comes in a different packaging now so I'm not sure if the formula has changed as well. Right now, the Tarte concealer is the best of the lot for me so I use it pretty much daily. In the pic below, I'm wearing the Amazonian Clay Full Coverage Airbrush Foundation. I like the natural finish which does not look overly powdery but on its own, it did not reduce the appearance of my pores as much as the Sofina Primavista powder foundation. For better, longer-lasting coverage of both pores and redness, I layered the Airbrush Foundation over the liquid foundation in the pic below. This gives a more flawless finish that lasts well for me. If you have normal to oily skin, this trio of Tarte products is well worth checking out. 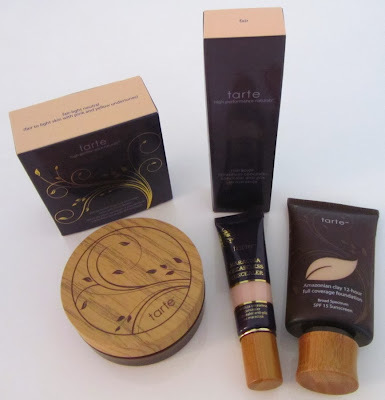 It's a pity that Tarte is not available outside of the US but you can always use a personal shopping service or look for it on Ebay. MyUS.com charges a minimum fee of $10, which I find to be reasonable and it can be easily offset if the website is having a sale. 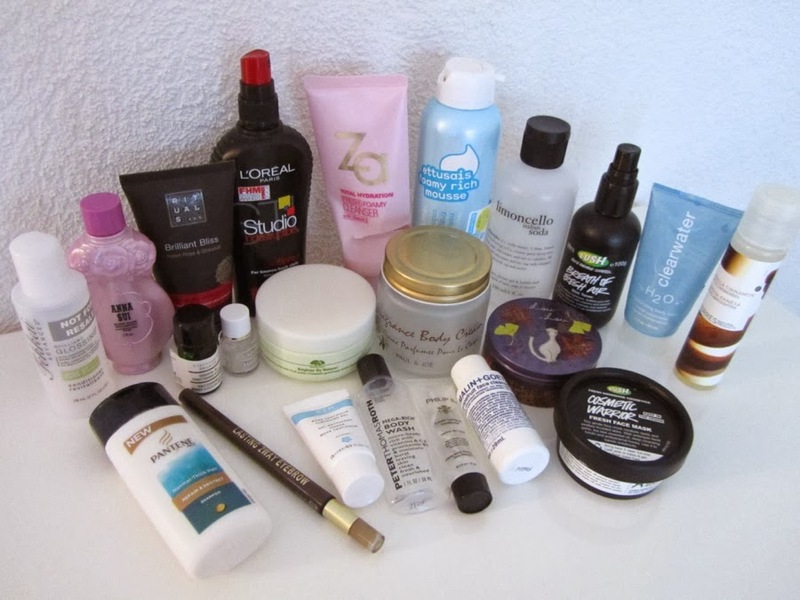 Another month has passed by, which means another clutch of product empties on their way out of here. 1. Ettusais Foamy Rich Mousse: True to its name, this produces a firm foam that does not dissipate quickly. It is supposed to be a 5-in-1 product that removes makeup, acts as a cleanser, foam massage, foam pack and moisturises the skin. This can lasted four months with once daily usage in the mornings. It rinses off cleanly but can leave the skin feeling a tad dry. You need less than a ping-pong ball size for each use. 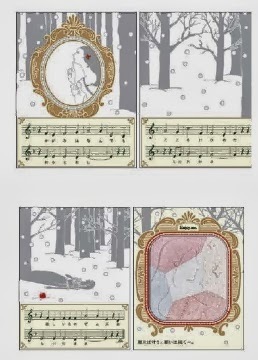 Ettusais has just released an extra large version with 25% more product for the same price (S$35/1365yen). 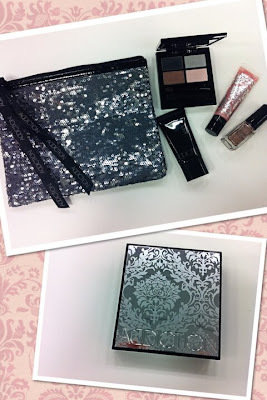 I would repurchase this except it is not available here. 2. 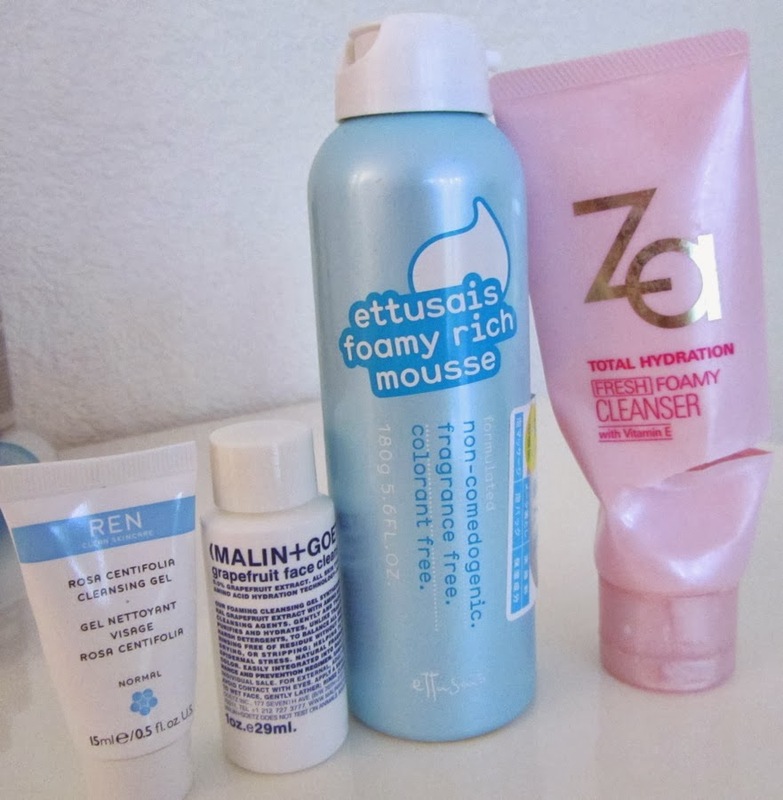 Za Total Hydration Fresh Foamy Cleanser: This is a typical white foaming cleanser with some small blue particles mixed in. I usually use this after using a cleansing oil or micellar water to remove my makeup, just to make sure my skin is thoroughly cleansed. It does leave the skin feeling stripped, so I would not repurchase this. 3. Ren Rose Centifolia Cleansing Gel: This watery clear gel cleanser is extremely gentle on the skin, perfect for use in the mornings when you only need a light cleanse. The rose scent is also subtle enough not to be irritating. This would work well for all skintypes. Ren has just revamped and expanded its Rosa Centifolia range, to include a cleansing balm, foaming cleanser, cleansing water and makeup remover. Check it out here. 4. Malin + Goetz Grapefruit Face Cleanser: This is a clear gel cleanser that thoroughly cleanses my skin without leaving it feeling dry. It contains 0.5% grapefruit extract and amino-acid based cleansing agents which is supposed to help purify and hydrate without irritation. 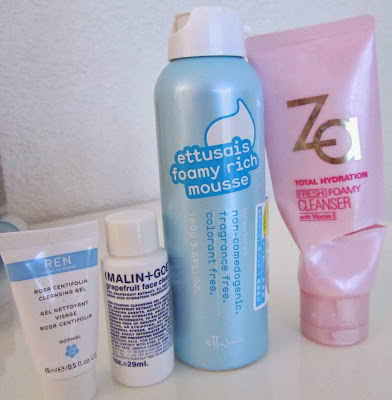 It is also supposed to help prevent blemishes but I did not find it to have much effect in that area. 5. 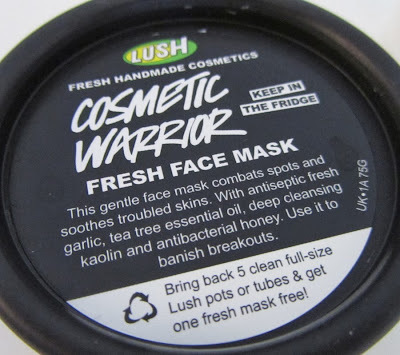 Lush Cosmetic Warrior: This is supposed to be targeted at acne-prone skin but I did not find it to be that effective. It was also thick and hard to spread, unlike Ayesha, perhaps due to the egg content. Ingredient list below. 6. Lush Breath of Fresh Air: This lightweight toner helps refresh the skin but does not really hydrate or soften it despite containing aloe vera, so even in the hot summer months, it can leave my skin feeling in need of extra moisture. I would not repurchase it. Ingredient list below. 7. Origins Brighter By Nature: This contained cotton pads soaked with a fruit-acid based solution that is supposed to help brighten the skin tone. Sadly, the pads dried out before I had used even half of them, despite the fact that I kept the pot tightly shut. The few that I did use did not do much for my skin and felt a tad rough actually. 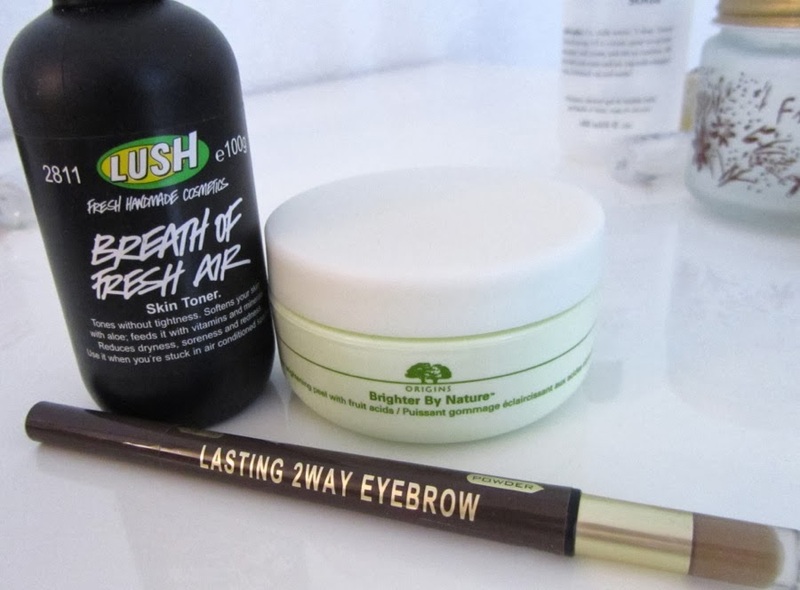 Definitely will not repurchase this. 8. 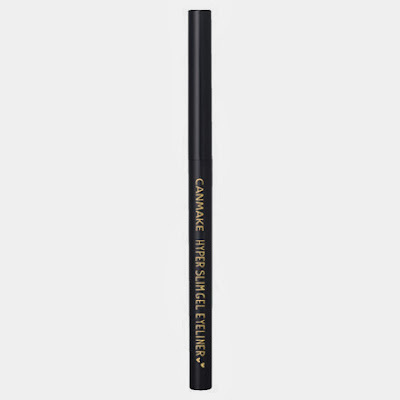 K-Palette Lasting 2Way Eyebrow: A daily staple which I just stocked up on again. 9. 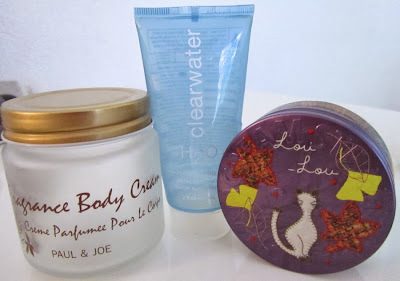 Paul & Joe Fragranced Body Cream: This light body cream was from a Christmas set a few years ago yet it has kept its scent surprisingly well without any visible change in the texture. 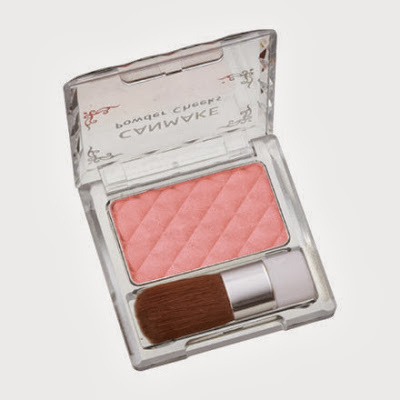 I liked the scent and moisturising effect but it did leave a slightly oily residue on the skin. 10. H20+ Moisturizing Body Balm: This has a nice clean scent and lightweight texture that absorbs easily without making the skin feel greasy. 11. 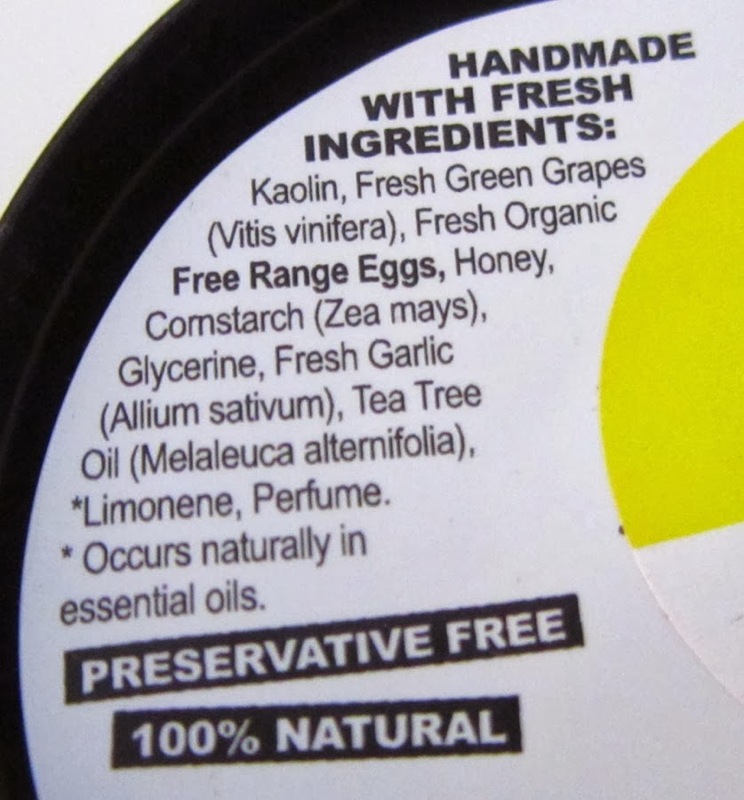 Steam Cream: As this is very emollient, I use it mainly on my legs which are prone to dryness instead of my face. 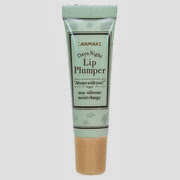 It hydrates effectively, getting rid of dry patches but it can feel a tad greasy especially in the summer. 12. Philosophy Limoncello Italian Soda: I love Philosophy shower gels for their extensive variety of scents and that they do not dry out my skin. This had a light sweet fizzy scent that was a pleasure to use and it lathers up easily. 13. Korres Vanilla Cinnamon Showergel: Not a fan of this due to the heavy cinnamon note, which I do not like in fragrances. It does lather up easily and did not strip the skin. 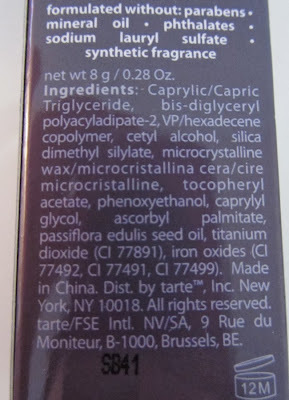 This was part of a set of three Korres showergels. 14. Peter Thomas Roth Mega-rich Body Wash: This gel cleanser contained microbeads that burst on contact with the skin. It had a lovely refreshing citrus scent but otherwise, it was pretty average overall so I would not re-purchase it. 15. Anna Sui Rose Hair Shampoo: I adore the rose scent but it does not linger strongly on my hair. This worked quite well with my dry hair, rinsing out cleanly without leaving it tangled but it's probably too pricey for me to use on a regular basis. 16. Fekkai Brilliant Glossing Conditioner: This helped to detangle my hair but there was no extra glossiness or brilliance. 17. Pantene Repair & Protect Shampoo: This was a freebie with a magazine. While this lathered up easily, it left my hair slightly tangled and in need of conditioner so I would not repurchase this. 18. Philip B. Lovin' Leave-in Conditioner: This helped to tame the frizz and make my hair more manageable. I usually apply it in the mornings to the ends of my hair and then follow up with a styling spray. 19. L'Oreal Studio Indestructible Gel Spray: This helped to control flyaways around my fringe and provided moderate hold without making my hair hard or sticky. 20. 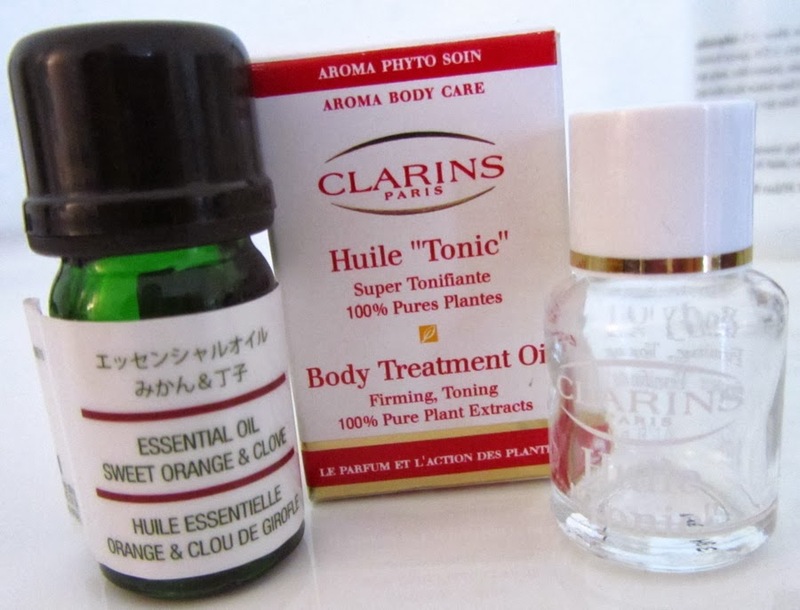 Muji Sweet Orange & Clove Essential Oil: I purchased this in London to use with the Muji Aroma Diffuser. I adore the uplifting scent which has just enough sweetness to soothe the senses. I would definitely repurchase this except I have several other Muji essential oils to use up first. 21. Clarins Body Treatment Oil: This is supposed to help firm and tone the skin. 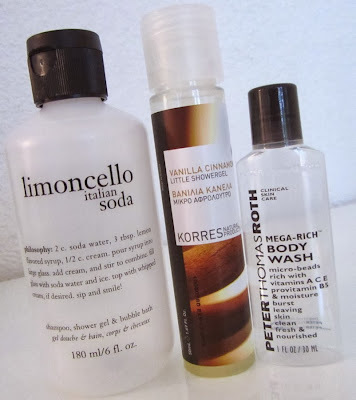 I liked the clean, green scent but found that the oil was surprisingly not hydrating enough for my skin which ended up flaking. Considering that the Ready To Wear palettes usually retail for 6510yen while the Tinted Skin Protector is usually 4625yen for 30ml, this set offers pretty good value for money at first glance but really only if the shades are suitable for you. Pic below from Voce. 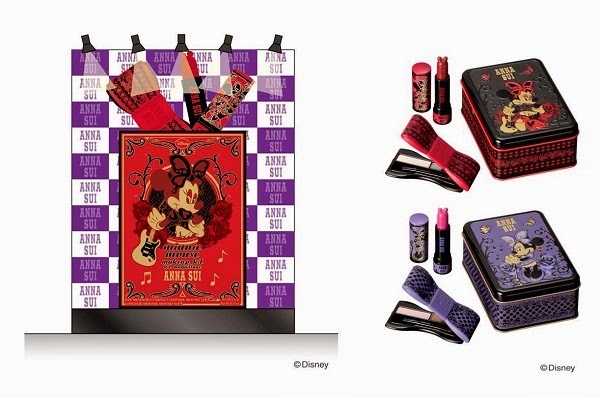 The Addiction website has been updated with the new Secret Nights collection which will be launched on 1 October in Japan. 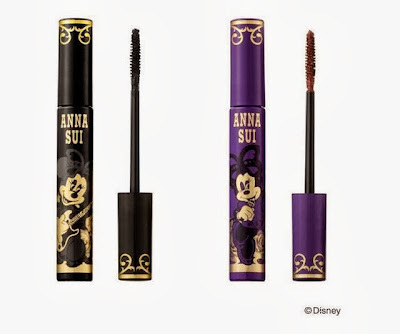 It includes Sparkling Mascara WP in six limited edition shades and six new Nail Polishes. The model is wearing Vamp Lipstick, Hung Up Lip Glaze, Ready To Wear Palette in Departure, Secret Night Sparking Mascara, Chic Cheek Polish and Sometime Blush. Check out the behind-the-scenes video here. The nail polishes look gorgeous but these are pretty much impossible to ship out of Japan as Japan Post is notoriously strict about disallowing nail polishes. The Majolica Majorca Little Humming Book IV is a highlighting powder that can be used on the T-zone, temples and cheeks for a translucent finish. It can also double up as eyeshadow. 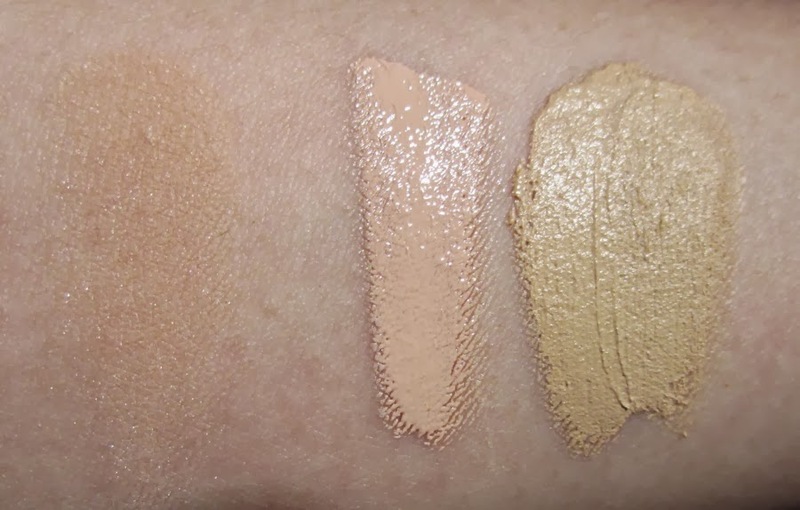 As shown in the diagram below, "A" is a matte white for making skin look brighter, "B" is blue for increasing skin luminosity and translucency, "C" is pink for a healthy glow, "D" is a pearly white for glowiness and "E" is beige for a natural, elegant finish. The powder can be applied on top of foundation or used as eyeshadows. It is recommended to use "A" on the T-zone and chin, and to mix B, C, D and E in a clockwise direction and brush it around the temples to the top of the cheeks. 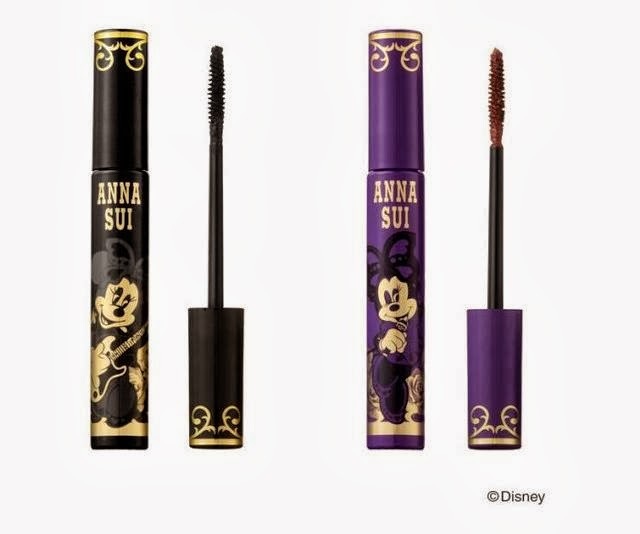 Here are the official visuals of the Anna Sui Minnie Mouse collection which will debut on 1 November in Japan. All products are limited edition. 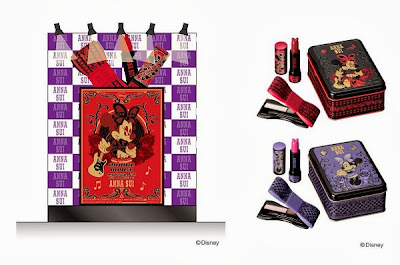 There will also be a pop-up Anna Sui store at LaFloret in Harajuku from 1-7 November. 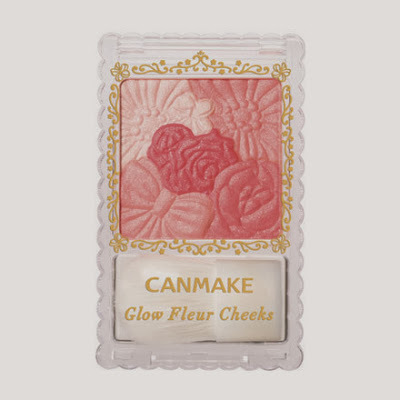 Canmake will be releasing several new products on 2 October in Japan. 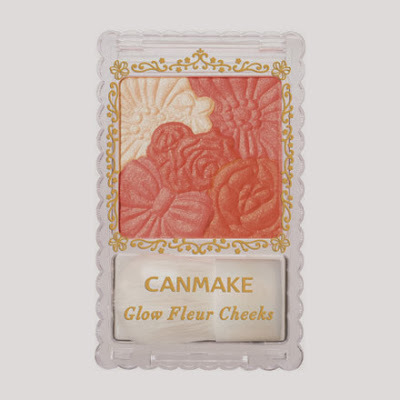 The most interesting one is the Glow Fleur Cheeks (840yen) which comes in four variations. Fans of the Clear versions of Cream Cheek will be happy to know that there will be also be a new shade, CL05 Clear Happiness. The official Facebook page is here.